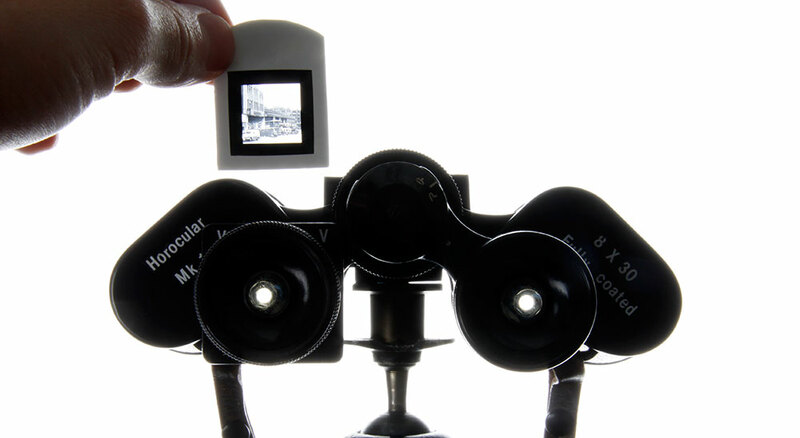 The optical device that lets you look back in time as well as forwards. 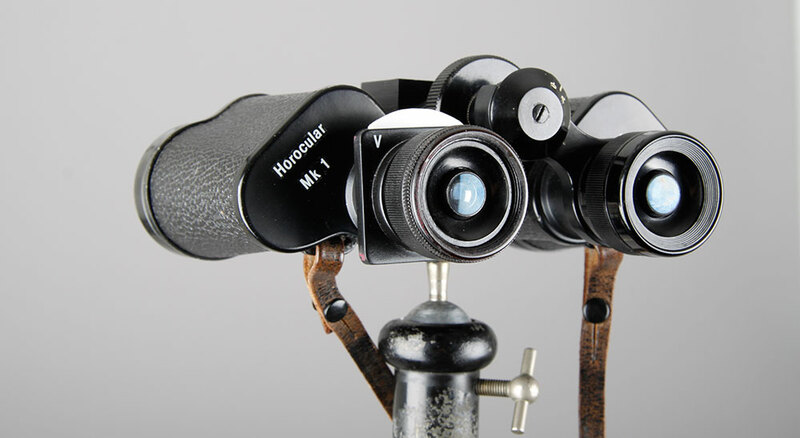 The left eye piece is a slide viewer, the right a standard monocular. 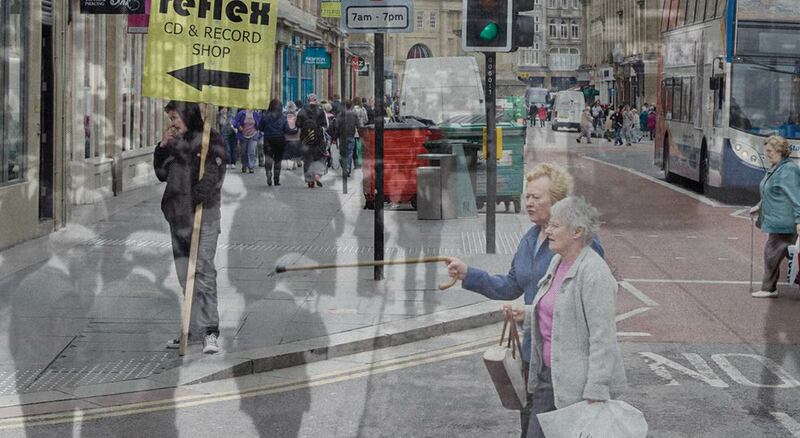 They allow you to travel around and overlay images from the past to see what has changed. 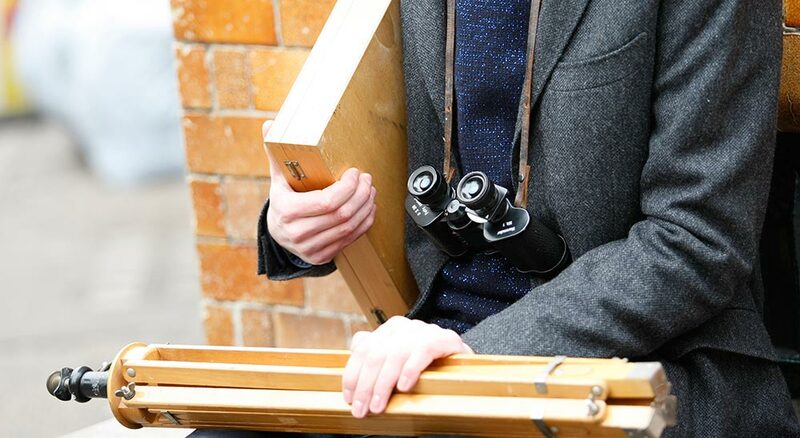 Horoculars were developed in collaboration with Professor Alastair Bonnett and inspired by his work on, 'The Geography of Nostalgia' at Newcastle University.